This is a story about killing the future. 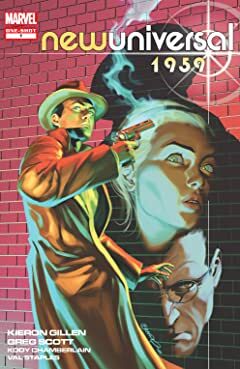 1959 is the dawn of the new age of superheroics -- the so-called "Fireworks" have granted superhuman powers to three Americans, and set the world on a collision-course with destiny. But it's a destiny Philip Voight must prevent at any cost. 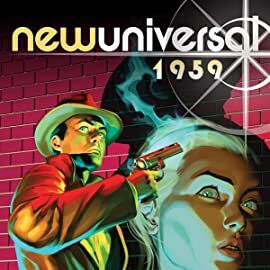 This newuniversal one-shot expands the mythos of this world, thanks to writer KIERON GILLEN (Phonogram), hand-picked by newuniversal's Warren Ellis, and the brilliant art of GREG SCOTT shows us the world, like it never was...in 1959.